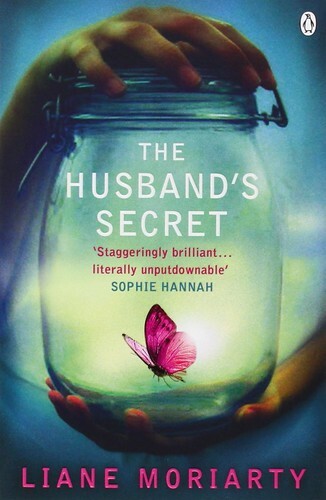 t*rexes and tiaras: Tuesday Titles 040: The Husband's Secret.. I was sent this book in the post by Kezzie recently. I'd not heard anything about it, but trust her judgement so as soon as I was ready for a new book, got stuck straight in. It didn't take me long to feel as though I was part of the perfect life that Tupperware-selling mother Cecelia had created for her family. When she finds a note, written by her husband and telling her not to open it until after his death, Cecelia is torn. Should she open it? With the contents of the envelope poised to tear the family apart, it gradually becomes apparent that in some way, a lot of the town's residents could have a connection. And opening the seal could potentially ruin even more lives. I don't want to say a lot more about the plot, other than that I was shocked by one turn of events in particular, which I'd not been able to guess in advance. I couldn't put this book down nor stop wondering what was going to happen next, which is always the mark of great writing, in my opinion. A definite 5 star recommendation here. I really didn't see it coming! Sounds like a fabulous read Char. I shall have to look it up. It's really good - I'd definitely recommend it!